Contact Us Today, Get Service Tomorrow! Absolute Pool Services is a locally owned and operated company. We specialize in cleaning and servicing all different kinds of pools. Our professional service, quality products, and affordable monthly plans sets us apart from other companies! Are you tired of your pool looking green? Are you frustrated at the reliability other pool companies? It's time to contact Absolute Pool Services. We believe in giving you the best products. We believe in quality service and in quality products. Because of this, we utilize more expensive, high quality, powdered chemicals. Our powder is fast dissolving, continually sanitizing, and is more gentle on the surface of your pool. This powder even helps the long-term life of the walls and floor of your pool! These chemicals will keep your pool blue and ready to be used between every cleaning. Regardless of the size of your pool, our local service charge is $75 a month! During the month, your pool will be given two cleanings, two pH tests, two of our chemical adjustments, a deep pool filter cleaning, and salt cell cleaning! We only offer COMPLETE SERVICE! We don’t have a fine print in our service plan! Many companies offer you a plan between $75 to $125 a month, but don’t offer you complete service. Many will only vacuum your pool once a month. Most companies only clean your salt cells every three months and charge you an additional $100! We include our complete service to every customer, regardless of the size of your pool. Our Complete Service Will Give You Everything You Need! Our every other week complete service gives you everything you need for your pool! We don’t cut corners and we offer consistent service. 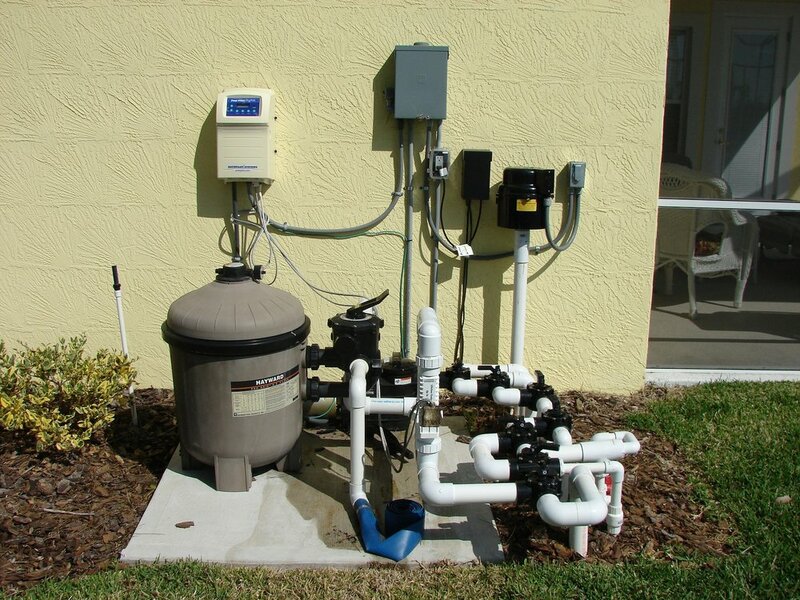 Your pool will have its pH adjusted and salt cells and filter cleaned. It will also be brushed, raked, and power vacuumed every time! As an extra service, we also do some pool repairs. Contact us for a free repair estimate. We have one of the best vacuums on the market! Many companies use a vacuum that gets power from your pool pump. 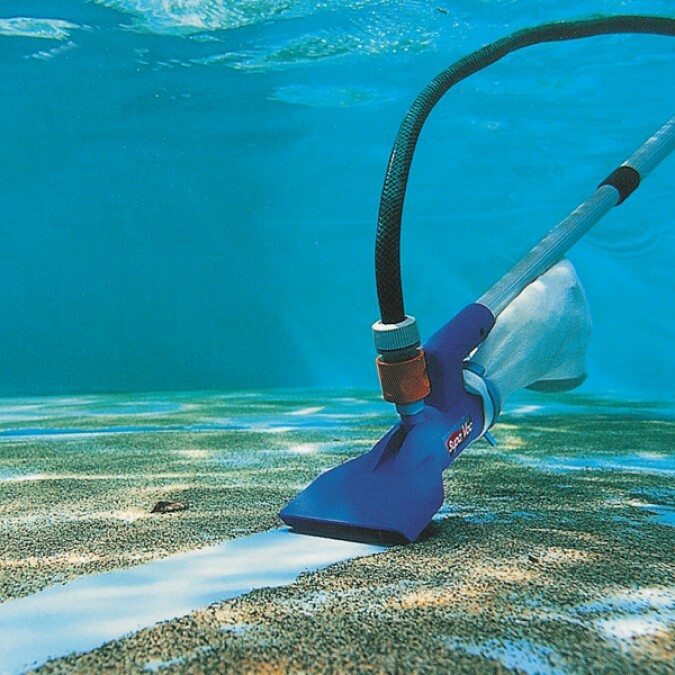 These vacuums often don’t do the greatest job with cleaning your pool. We invested in vacuums that run on their own power. This offers the best quality possible and will ensure a professional look to your pool! At no extra charge, we will clean your salt cells every month. This service is usually an extra $100 by other companies! When your salt cells get dirty and clogged, your pool doesn’t utilize the chemicals the right way. We don’t just want your pool maintaining a blue color, but we want it maintaining a healthy lifespan. We clean salt cells because it helps the life of both your pool and your filter. On top of this, we also clean your filter! A clean filter will help your pool maintain itself, so it’s ready for your family and friends at all times. 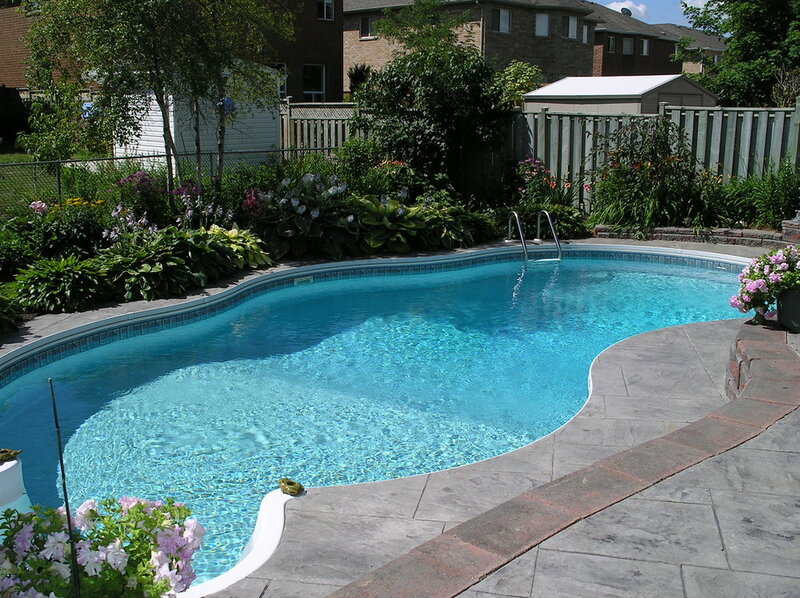 We believe that your pool needs to be blue and ready to be used at all times. When we come to service your pool, we always check the pH and adjust it accordingly. With our quality chemicals, not only will it stay blue, but the chemicals will be more gentle on the surfaces of your pool. This will help the life span and minimize the long-term repairs of your pool. On top of all our other services, we brush and rake your pool on every visit we make. This process will not only clean the leaves out of your pool, but will help keep the walls and floor of your pool clean of debris. We Are Your Company For S.W. Florida! We serve residential homes and properties in Southwest Florida. Do you live in Fort Myers, Bonita Springs, Estero, Lehigh Acres, Labelle, Alva, or Cape Coral? These are just a few of the many places we go to. Contact us today and we are service your pool tomorrow!